These are original scans by Arcata Pet. All rights reserved. Click on the small image to see a full-size version of the picture. 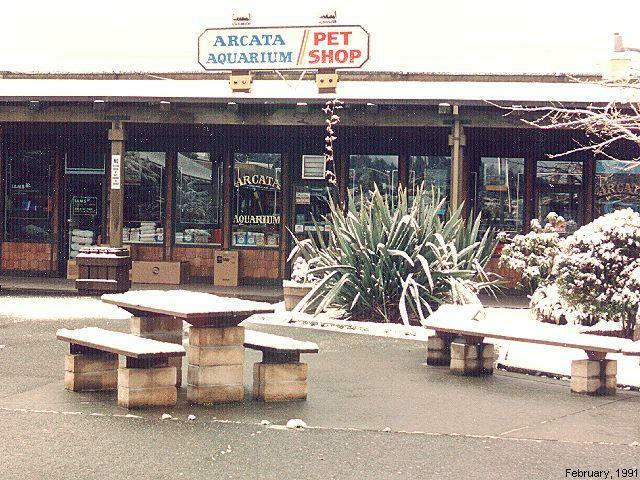 This is a picture of our shop after a rare snow storm in February of 1991. The temperature in Arcata is never extreme, with an all-time record low of 19 and an all-time record high of 86. 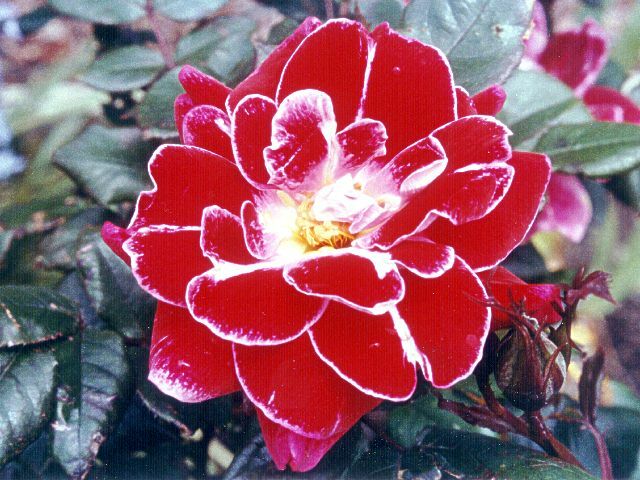 Winter temperatures are usually in the 50's and Summer's in the 60's. Our shop remains in the same location but recently expanded another 20 feet to the left, for a total of 4000 square feet. 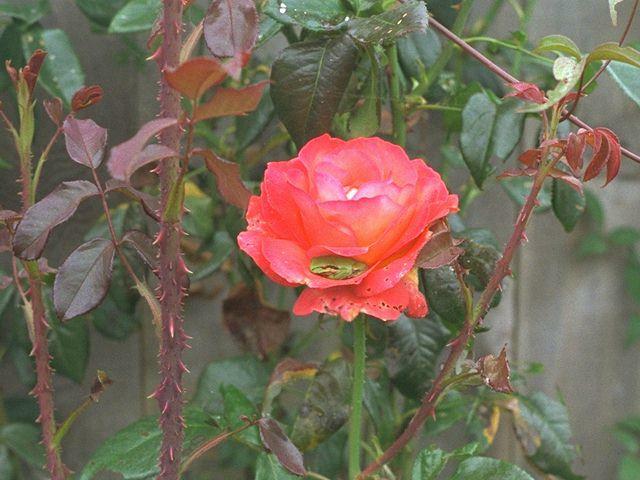 Joy is an avid gardener, and these are both photos she took of a few of her roses. In the one on the right you will see a resident frog. While she still has many roses, the emphasis these days is on dahlias and wild irises. A recent addition to the back yard is a small 100-gallon pond, well planted and home to 3 koi, a couple of goldfish, and numerous gambusia (mosquito fish). George has the longest tenure of any of our employees, having started with us in 1986. 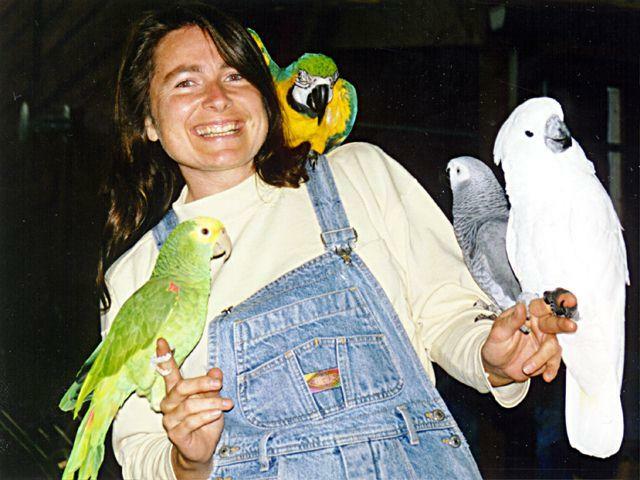 She got Rudy, her Blue & Gold Macaw, from us before becoming an employee, and the rest later. The DYH Amazon and African Grey are from pairs breeding here in the pet shop. Falconry is the avocation of our employee Dan Wake. 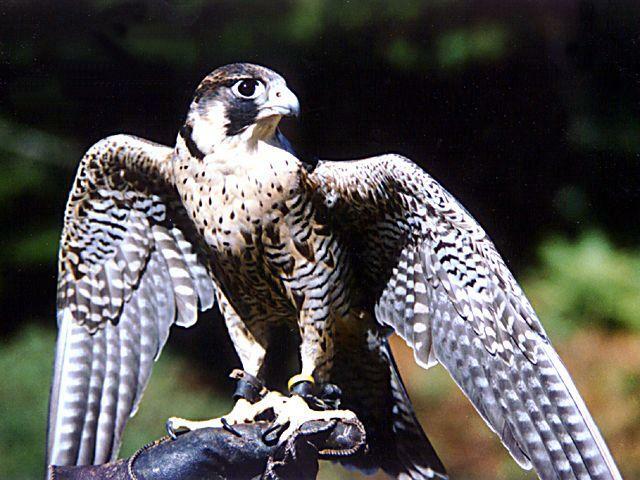 This picture is a Peregrine Falcon that he flew a few years ago. For more on the topic, including additional pictures, visit his home page.